The Tiospaye Friendship Circle (TFC) is a part of our Sustained Giving program. Whether you choose a $25.00/month recurring gift or join the TFC at a higher rate, contributing in this way, makes the most significant impact on the sustainability of the organization – thus advancing our Mission. Native Lakota and non-​Native people working and playing together; honoring indigenous wisdom, reconciling the complicated history we share and co-creating mutual understanding and humane, desirable living conditions on Pine Ridge and surrounding reservations. 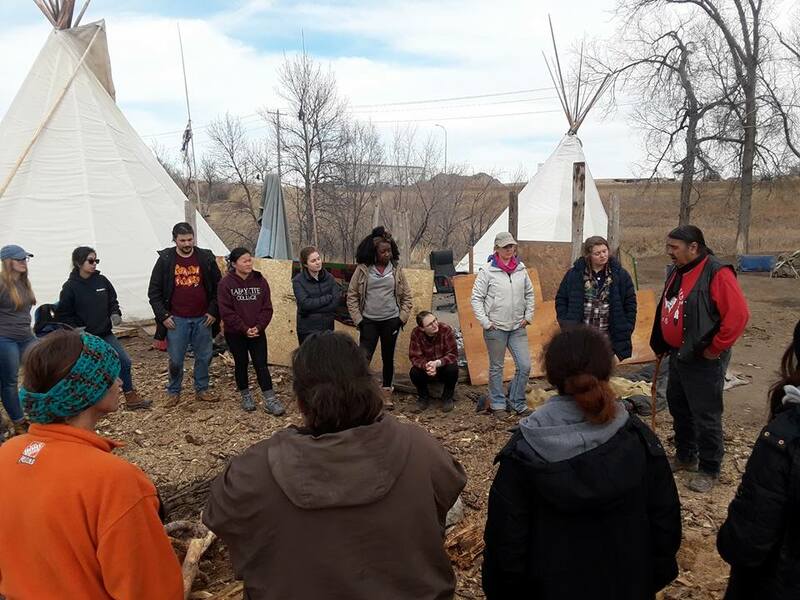 Each year the nonprofit organization strives to achieve this by not only bringing volunteer service groups to work with the Lakota on Pine Ridge but also by facilitating cultural and educational tours to schools, churches and civic organizations in Colorado and around the country. Improve the living conditions on Pine Ridge through ongoing housing renovation and construction efforts that we engage in year round. 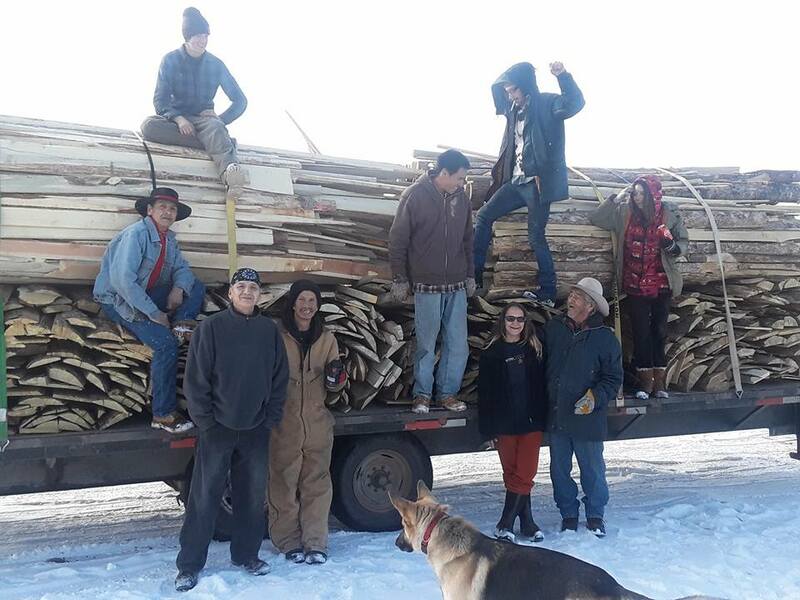 Distribute firewood to families around the reservation in the Fall and Winter. Collect, transport and distribute food, clothing, furniture and other items to families across the reservation. Present at schools, churches and civic organizations around the country with our Lakota Youth Ambassadors and Elders. Facilitate cultural, educational and historical events throughout the year including horseback rides, traditional skill demonstrations, inipi, cultural and historical presentations, etc. Your donation of $95 or more each month (that can be stopped at any time) will enable us to continue these efforts and also enable you to continue participating in these unique and ongoing monthly experiences. Horse Rides- Twice a year, you can schedule personal rides on Pine Ridge and surrounding destinations (i.e., the Black Hills, Wounded Knee, Badlands, Fort Robinson). Please give us four weeks' notice for scheduling purposes. 10% Discount on LakotaRide registration. Free admission on Volunteer Trips (after one year as a TFC member and as long as your membership is current during that month). Annual TFC Gathering- Join us in building this community as we meet once a year for meaningful dialogue with each other and the Tipi Raiser's Board of Directors. Dates to be announced. Recurring donations can be cancelled at any time through the Network for Good platform or by contacting us.Discount on Lakota made jewelry and crafts. Please click on "START GIVING TODAY" below and choose $95.00/month or higher to become a member of the Tiospaye Friendship Circle. 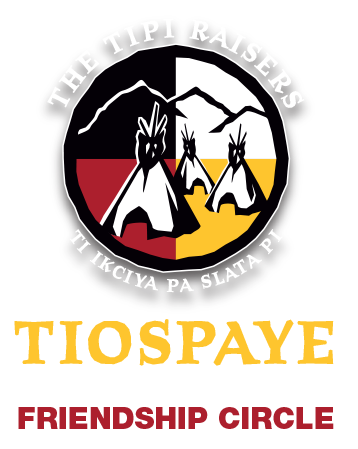 ​Join the Tiospaye Friendship Circle to make the greatest impact in helping the Tipi Raisers advance our Mission!